Navigating your search marketing journey starts with setting the right strategy. But search strategies are not one-size-fits-all. The time horizon of your search strategy can have a big impact on your revenue. To get the best return, you must leverage short and long-term search marketing. In this Masters of Marketing webinar, I examined these two search marketing strategies. I also looked at how your agency can best use them for sustainable growth. I’ve included a short summary of my presentation below. To learn more, watch the recording here or review the slides below. The goal of search marketing is to boost traffic to your website. But getting to the mountaintop isn’t easy. Agencies must prove their worth by demonstrating their relevance and authority. This looks different in practice, depending on time horizon. Short-term search marketing focuses on satisfying immediate transactional search demand. Long-term search marketing casts a wider net. It focuses on satisfying searcher needs before they’re in the market for your services. Here’s a closer look at each strategy. These strategies focus on a compressed buying cycle. They allow your agency to appear for consumer searches that lead to immediate action. If someone is searching for a quote, a short-term strategy could drive them to your agency. They can then request a quote in that same web visit. And you can see a direct tie between that potential revenue and your search marketing. Short-term search marketing strategies are most effective after an agency launch or rebranding. 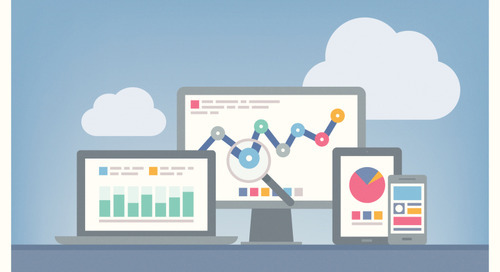 In these scenarios, your new website won’t be visible on search engines at first. But short-term tactics can send your rankings skyrocketing. Still, short-term strategies lose momentum later on. The market you serve with these strategies is also limited and commoditized. And success can vary depending on seasonality and other cyclical factors. These strategies focus on an extended buying cycle. They encourage your agency to help consumers before they even think of shopping for a policy. Let’s say someone searches for home maintenance tips. Under a long-term strategy, your agency would provide a resource satisfying this need. 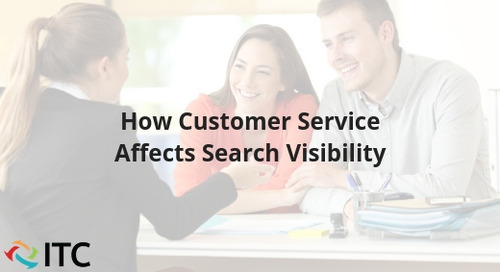 If this resource shows up in search results, the consumer can get the immediate help they need. The consumer might not request a quote in that moment. After all, they’re more concerned with fixing up their home. But when they’re ready to shop for a policy, they could come back to your agency. And they might not even bother to shop your competitors. Long-term search marketing strategies focus on brand building and resourcefulness. The idea is simple. If you prove your worth before a consumer is in the market, you’ll be top-of-mind when they shop. Long-term search marketing tactics include in-depth content creation, brand promotion and link earning. These tactics focus on building lasting consumer loyalty. And they can boost your agency’s Customer Lifetime Value. Long-term search marketing strategies can lead to a consistent revenue boost. You can attract consumers who stay with your agency longer. And these loyal consumers can refer friends and family to the agency. Still, long-term strategies demand persistence. You must put in a significant upfront investment, with no guarantee of a return. It’s also difficult to track your success, due to the longer buying cycle. So, how do you best combine these strategies? Start with short-term search marketing. It provides a great foundation. And it can lead to early success. Then, layer long-term search marketing on top of the work you’ve already done. You can reap the benefits of broader success, without risking any of the gains you’ve already made. Balance the short and the long-term, and your agency will be a force online. Dylan Brooks helps ITC clients improve the visibility of their agency websites, working directly with them to improve their search engine rankings. Dylan has a bachelor’s degree in communication from the University of Miami, and he is pursuing a masters in business administration from Southern Methodist University. Dylan has extensive experience with writing, strategy and marketing analytics. In his spare time, Dylan enjoys cooking, watching football, and spending time outdoors in and around Dallas. Use these easy tactics to give your insurance agency's website a boost in online search results.